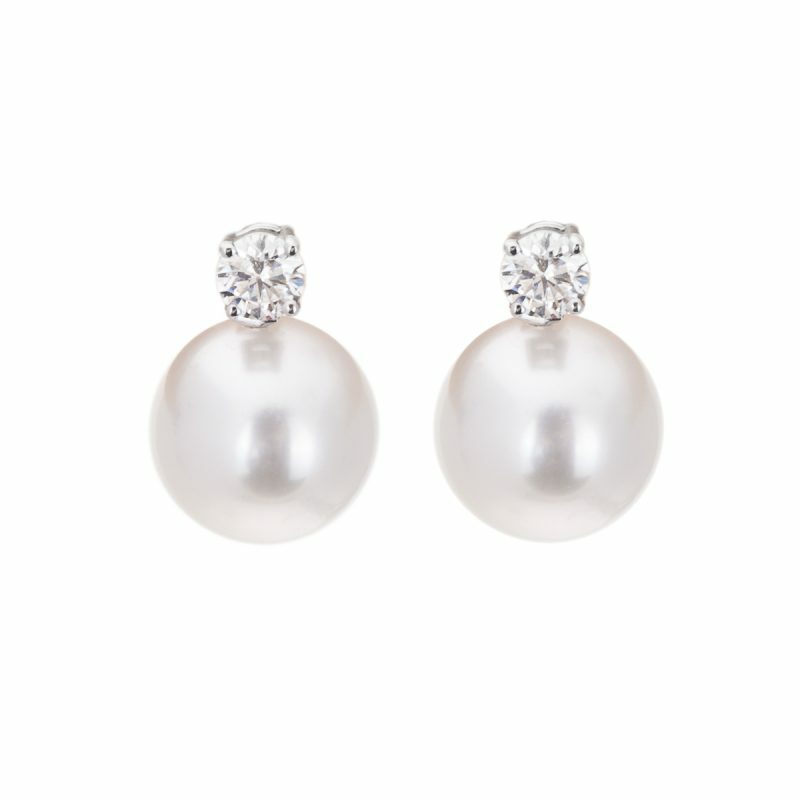 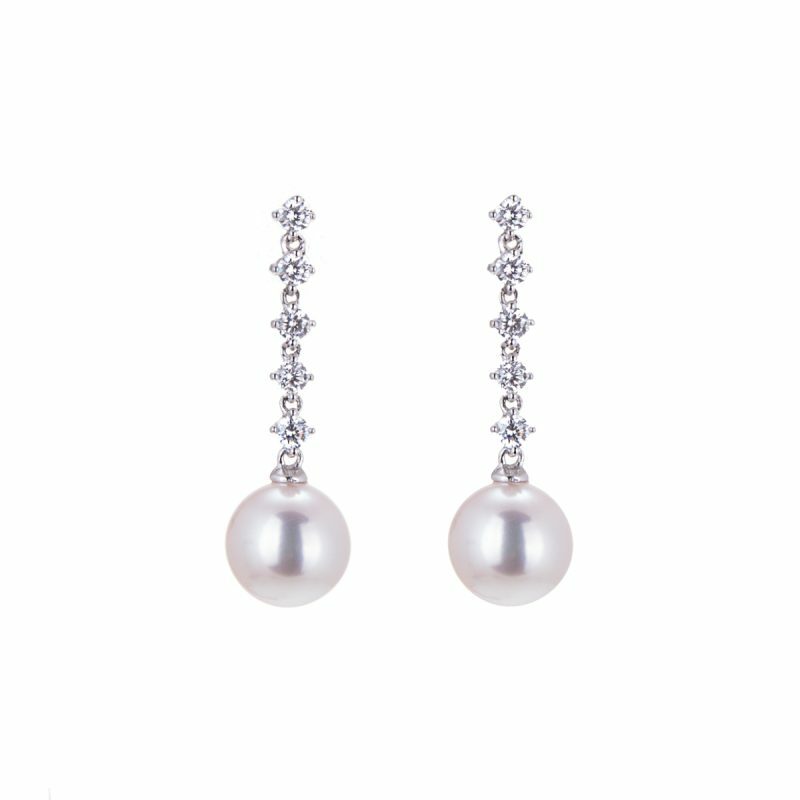 Become the stylish leader and leave the others far behind you when you wear these exquisite silver Tahitian pearl and diamond drop earrings. 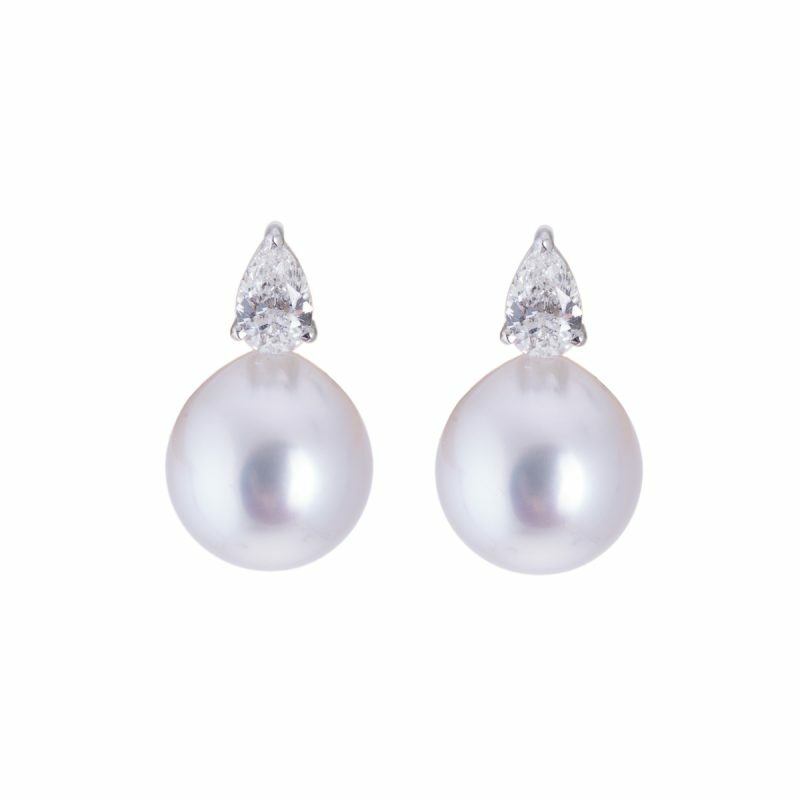 Two perfectly matched pearls hang freely from a graduated row of brilliant cut diamond, each held in an 18ct white gold claw setting with classic post and butterfly fittings. 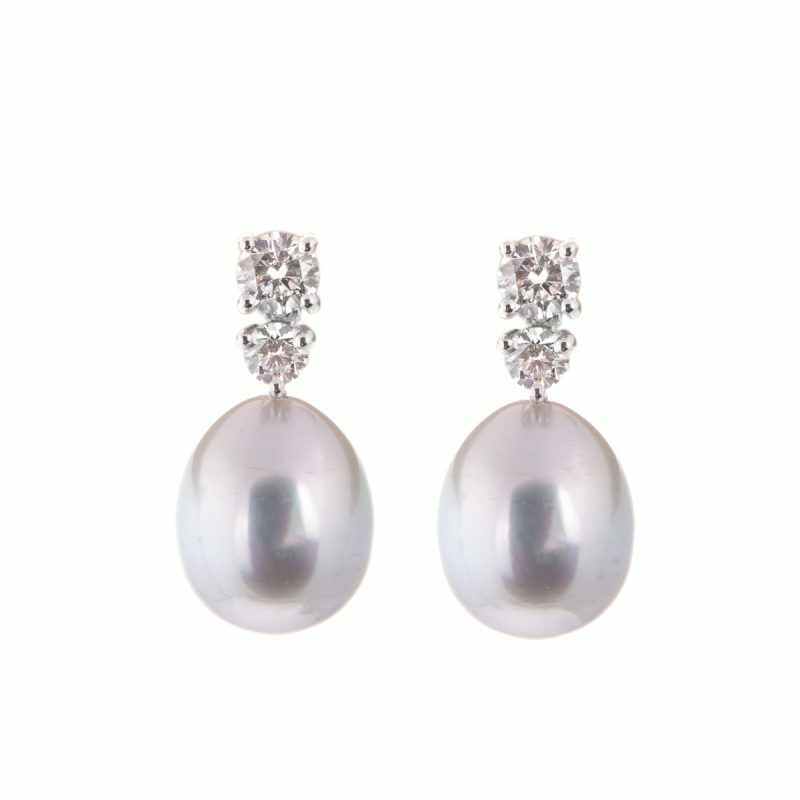 Sheer elegance, designed to radiate timeless beauty, now wait for the admiring glances.